I was born in Salzburg near the Salzach River at the edge of the northern Alps in Austria. My two sisters, brother, mother and father shared rooms in the Hotel Bristol overlooking the river in downtown Salzburg when my father was stationed in the city with the American military in the early 1950s. Salzburg is a river city and the birthplace of Amadeus Mozart. Its old town is dominated by baroque architecture of such repute that it is listed as a UNESCO World Heritage Site. Salzburg means “Salt Castle” and it is a city that derived much of its wealth, power and history from its location on the banks of the Salzach River particularly during the Middle Ages when tolls were collected from salt barges moving down the river. Many communities along the Willamette River were geographically founded because of their access to the River, and the economic and social benefits of this connection. Bands of the Kalapuya tribe collected along the banks of the Willamette River to harvest camas and wapato, hunt deer, beaver, elk, waterfowl in its rich floodplains, and catch salmon and trout from the River and its numerous back channels and sloughs. Gathering centers such as Willamette Falls were opportunities for tribal bands from the Willamette Valley, and other Northwest Regions to congregate with each other, exchange goods, and intermarry. Fur traders and trappers from Hudson’s Bay Company and the North West Company established trading sites such as the Willamette Fur Post near French Prairie (north of present-day Salem) along the Willamette River in the early 1800s. Retired French Canadian-Metis trappers settled in the French Prairie area with Native American wives in the 1830s and built log homes, established wheat farms, and founded small river communities along the Willamette and Pudding Rivers. Larger river communities, particularly near many confluence sites, quickly formed along the Willamette River in response to the influx of immigrant settlers into the Willamette Valley in the 1840s. Agricultural goods such as wheat, fruit, corn, and livestock were grown on many small farms and needed to be moved to markets so warehouses were built in the towns and cities along river banks near landing sites. The first steam powered boats to operate above Willamette Falls on the Willamette River, were the Canemah and the Multnomah. They carried mail and grain to and from communities along the river starting in 1851. The town of Marysville (Corvallis) had two steamboat landings in the 1850s that provided docking for the steamships. The California Gold Rush and the need to supply pack trains journeying to the gold fields provided an economic boost to communities along the river and increased steamboat traffic. Grain produced in the rich fertile soils of the Willamette Valley and hauled by wagons to the landing docks of many river communities was shipped by steamboats to Oregon City and Portland, and then carried on sailing grain ships to China, Japan, Hawaii, and California. The Great Flood of 1861 dramatically changed the relationship of the Willamette River and many towns and cities built along its shores. The river crested its bank in December 1861 after an intense period of rains and snow melting in the Cascade Mountains, and inundated over 320,000 acres in the Willamette Valley, destroying many river towns such as Oregon City, Linn City, Orleans, and Champoeg. Warehouses, shops, docks, mills, houses and stores were swept away. In the latter half of the 19th century, the U.S. Army Corps of Engineers dredged channels, and built locks and levees in the Willamette River system to improve transportation between river communities and to mitigate for flood impacts. By the last quarter of the nineteenth century, steamboat traffic could navigate most of the river from Willamette Falls to Corvallis and occasionally as far as Eugene, and daily carried goods and passengers between towns and cities. By the early 20th century, most of the steamboat traffic along the river was over and towns were increasingly connected by developed roads or railroads. The Corps constructed large flood control dams beginning in the 1930s in the major tributaries of the Willamette River and regulated flows so most towns and cities were protected from all but major flood events. The forgotten era for the Willamette River started in the early 1900s and lasted until the early 1960s when many communities turned their backs from the river because it no longer was considered an asset except as a place to dump sewage and industrial waste. By the 1930s the river was biologically unfit for most aquatic species and certainly not considered safe for recreation. 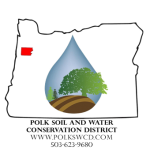 Federal, state, and local efforts to install sewage treatment facilities beginning in the 1950s and regulate industrial waste has greatly improved the quality of the Willamette River. Many towns such as Independence, Harrisburg, Albany, and Corvallis initiated efforts to restore their downtown waterfront areas by building parks, encouraging the establishment of businesses, and providing recreational opportunities. Every day I look out my office window and see many people walking, biking, skateboarding, and jogging along our Corvallis river front trail in many of the same sites that people collected 150 years ago to take passage on a sternwheeler traveling to Salem or load Willamette Valley wheat and corn to transport to Portland and beyond perhaps to Hong Kong and Sydney.